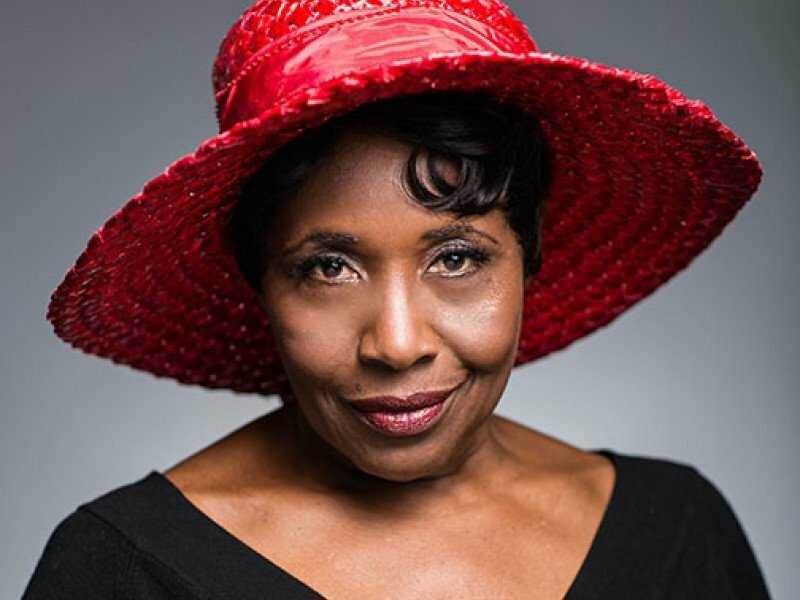 The oldest of six children born to a sharecropping family in Georgia, Rose Weaver grew from humble roots into a dynamic, actress, singer, playwright and motivational speaker. Her talent has graced countless productions and she has, over the years, acquired an acting fellowship from Trinity Repertory Company, MFA from Brown University, Honorary Doctor of Fine Arts Degrees from Providence College, Wheaton College (MA) and Marymount Manhattan College, New York, and a Pell Award for Excellence in the Arts for her outstanding work as a performer. Most recently, Rose won the Rhode Island State Council on the Arts Fellowship in Playwriting 2018 for her solo play, Menopause Mama. She performs Menopause Mama for organizations that promote gender equity, resist ageism, acknowledge and support the rites of passage that girls, women, and men experience at home and in the work place. Rose stopped working on the play, which she began in early 2000's, when family members were ill and she became their caregiver. Several years later, she is back writing to complete the piece and publish it. Sings and leads her Honeysuckle Rose Band. It has been featured recently at Waterfire Providence. As a sassy jazz singer and narrator, Rose has been a featured vocalist with the Marian Anderson String Quartet, The Smithsonian Jazz Orchestra, The Duke Ellington Orchestra, The Rhode Island Philharmonic Orchestra and Conrad Janis and the Beverly Hills Unlisted Jazz Band. A solo work featuring songs and stories about America's first black female superstar. As a sassy jazz singer and narrator, she has been a featured vocalist with the Marian Anderson String Quartet, The Smithsonian Jazz Orchestra, The Duke Ellington Orchestra, The Rhode Island Philharmonic Orchestra and Conrad Janis and the Beverly Hills Unlisted Jazz Band. Ms. Weaver’s film and television credits include the recent short film, The 6th Amendment (The 6th Amendment (Short 2017) - IMDbPro), The Brotherhood, The Accused, opposite Jodie Foster, In the Heat of the Night, opposite Carroll O’Connor, L.A. LAW, The Young and the Restless, Lady in White, Poetic Justice, Go Tell It On the Mountain, numerous radio plays for Scribbling Women and commercials. NBC Television submitted her for Emmy consideration for her work on In the Heat of the Night opposite the late Carroll O’Connor. Her dramatic writing has been published in Monologues for Women by Women (Heinemann), NuMuse: an Anthology of New Plays from Brown University, Iowa Literacy Resource Center, and New England Literacy Resource Center.